Garlic (Allium sativum) is a herb best known as a flavouring for food but also commonly used as a medicine to prevent or treat a wide range of diseases and conditions. It is one of the most extensively researched medicinal plants. It has a long history as a remedy for improving strength, reducing fatigue, and increasing immunity both in prevention and treatment of infectious diseases and gastrointestinal function. Garlic is available in wide range of forms. Supplements are made either from whole fresh garlic, dried, or freeze-dried garlic, garlic oil, and aged garlic extracts . Not all preparations contain the same amount of active ingredients, therefore it is best to use standardized garlic products. A decrease whole-blood viscosity has been shown to have several advantages in sports performance (such as increased oxygen and nutrient supply to working muscle tissues, and thus increasing exercise performance ). A single dose of garlic was reported to further increase blood fluidity in ten trained male college endurance athletes . It seems to be able to increase fibrinolytic activity  which has been suggested as the mechanism of decreasing fibrinogen concentration [2,4]. Decreased fibrinogen concentration results in lower plasma viscosity . Naoaki and coworkers  reported that aged garlic extract increases the turnover of aerobic glucose metabolism, reduces oxidative stress, and promotes oxygen supply. However, it does not seem to increase maximal oxygen consumption, blood oxygen saturation and consequently performance during exercise in humans under hypoxia . Different processing methods result in differences in the intensity of its anti-fatigue effect . Extraction of raw garlic followed by its natural ageing seems to be the most favourable . Currently available data, strongly suggest that it may be a promising anti-fatigue agent. Garlic supplementation is suggested to enhance protein anabolism and suppress protein catabolism due to hormonal regulation by the stimulation of steroid hormones . Studies evaluating garlic’s effects on testosterone levels and male reproductive functions are mixed. It seems that high doses exhibit testicular toxicity which is followed by decreased testosterone levels . Lower dose, on the other hand, is associated with protection against testicular toxicity and increased testosterone levels . Another animal study  also reported increased testosterone in rats fed either 40 or 25% protein and 0,8% garlic, whereas testosterone was unaffected in control diet group and the garlic diet group fed the 10% protein. Mechanisms of action behind this testosterone increase remain unknown. So far there are no human trials, however, it is highly unlikely that moderate garlic consumption would affect spermatogenesis and/or testosterone levels in humans. Caution is advised as it has been reported that human spermatogenesis is more sensitive to stress than that of rats , which suggests lower doses might impair male reproductive system. Rats fed with high-protein diet and 8% garlic extract exhibited marked reductions in plasma corticosterone concentration (nearly halved) . In patients with advanced cancer, salivary cortisol was unaffected after 6 months of aged garlic supplementation . On the other hand, salivary cortisol increased significantly in control group after 3 months but due to highly varied values researchers speculated that this increase could be accidental. A study in isolated keratinocytes found that a combination of aged garlic and pycnogenol caused a potent release of growth hormone . To our best knowledge there are no available studies in living models to evaluate garlic’s use for that purpose. It is traditionally believed that garlic is effective for a common cold. According to Lissiman et al. , there is only one credible study that evaluated its effectiveness for a common cold, nevertheless, the quality of the evidence is moderate. A mentioned study assessed 146 participants over a three-month period. A study reported that garlic reduces the frequency and number of colds (24 occurrences vs 65) when taken for prevention but it failed to reduce the duration of illness. Possible bias of the study is that blinding of participants was not adequate as more of the participants in garlic group noted a smell when burping. More well-designed studies are needed to validate its use for common cold prevention. There are literally tons of studies measuring the effectiveness of garlic in lowering cholesterol and triglycerides. Many of these studies contrast each other. When looking at available meta-analyses [14-17] it is evident that garlic is superior to placebo in reducing total cholesterol levels (8 to 12% overall reduction), however, its effect is modest at best. One meta-analysis  reported that intake of garlic preparations did not produce any significant beneficial effects on serum cholesterol. So the value of garlic for hypercholesterolemia is questionable. Furthermore, according to MedlinePlus , if only the high-quality studies are considered garlic does not significantly lower cholesterol or triglyceride levels. According to subgroup analysis by an effect of garlic type on LDL cholesterol, garlic powder appears to be more effective than aged garlic extract, garlic oil and raw garlic . Most of the studies included in these meta-analyses were sponsored by the manufacturers of these products. Its cholesterol-lowering effects have also been confirmed recently in 970 hypertensive subjects . Garlic is widely used by patients in order to lower blood pressure. A systematic review and meta-analysis  on the effects of garlic on blood pressure which included nine double-blind trials with 482 individuals reported that garlic preparations may lower blood pressure in hypertensive individuals. However, the evidence is not strong. Based on data from two randomized controlled trials  in 87 hypertensive patients it appears that it may have some blood pressure lowering effect. However, due to minor effects noted it is unclear whether garlic provides any therapeutic advantage in terms of reducing the risk of cardiovascular morbidity and mortality. It also seems to lower blood pressure in people with normal blood pressure . An updated meta-analysis and review from 2016 further confirmed that it has the potential to lower blood pressure in hypertensive individuals . Results of some animal studies have shown that aged garlic extract supplementation and exercise provide protection against high fat diet-induced increases in body fat, body weight and insulin resistance [23,24]. A study in obese patients with metabolic syndrome reported that administration of 1.2 g/day of aged garlic extract for 24 weeks provides non-significant (slight decrease) changes in body weight . Garlic may be considered an effective remedy in the treatment of common yeast and fungal infections such as Candida albicans and Aspergillus flavus . Garlic is considered safe. Actually, it is highly tolerated and may be considered as a complementary treatment option for hypertension, slightly elevated cholesterol, and stimulation of immunity . Some common side effects include mild but undesirable effects such as body odour, bad breath (halitosis) and gastrointestinal disturbances , skin rash , a burning sensation in the mouth or stomach and nausea . Patients on blood-thinning medication should avoid it because of its effect on clotting time . Clinical studies evaluating doses up to 15 grams daily for weeks report no apparent side effects . Certain precautions must be followed to minimize the risk of adverse side effects but overall, as a therapeutic agent, it appears to be remarkably safe. Steven D. Ehrlich http://umm.edu/health/medical/altmed/herb/garlic#ixzz3KjSmwsip University of Maryland Medical Center. Vandewalle, H., et al. “Blood viscosity after a 1-h submaximal exercise with and without drinking.” International journal of sports medicine 9.02 (1988): 104-107. İnce, Deniz İnal, Gül Tiryaki Sönmez, and Mustafa Levent İnce. “Effects of garlic on aerobic performance.” Turkish Journal of Medical Sciences 30.6 (2000): 557-561. Lacombe, Catherine, and Jean-Claude Lelièvre. “Viscosity and blood structure.” Biochimie 63.11 (1982): 883-885. Martin, Dale G., et al. “Blood viscosity responses to maximal exercise in endurance-trained and sedentary female subjects.” J Appl Physiol 59.2 (1985): 348-53. Morihara, Naoaki, et al. “Aged garlicextract ameliorates physical fatigue.” Biological and Pharmaceutical Bulletin 29.5 (2006): 962-966. Morris, David M., Reid K. Beloni, and Hannah E. Wheeler. “Effects of garlicconsumption on physiological variables and performance during exercise in hypoxia.” Applied Physiology, Nutrition, and Metabolism 38.4 (2013): 363-367. Morihara, Naoaki, et al. “Garlic as an anti‐fatigue agent.” Molecular nutrition & food research 51.11 (2007): 1329-1334. Hammami, Imen, et al. “Effects of GarlicFractions Consumption on Male Reproductive Functions.” Journal of medicinal food 16.1 (2013): 82-87. Sadik, Nermin AH. “Effects of diallyl sulfide and zinc on testicular steroidogenesis in cadmium‐treated male rats.” Journal of biochemical and molecular toxicology 22.5 (2008): 345-353. Oi, Yuriko, et al. “Gralic supplementation increases testicular testosterone and decreases plasma corticosterone in rats fed a high protein diet.” The Journal of nutrition 131.8 (2001): 2150-2156. Meistrich, Marvin L., and Ronald C. Samuels. “Reduction in sperm levels after testicular irradiation of the mouse: a comparison with man.” Radiation research 102.1 (1985): 138-147. Lissiman, Elizabeth, Alice L. Bhasale, and Marc Cohen. “Garlci for the common cold.” Cochrane Database Syst Rev 3 (2012). Stevinson, Clare, Max H. Pittler, and Edzard Ernst. “Garlic for Treating HypercholesterolemiaA Meta-Analysis of Randomized Clinical Trials.” Annals of internal medicine 133.6 (2000): 420-429. Warshafsky, Stephen, Russell S. Kamer, and Steven L. Sivak. “Effect of Garilc on Total Serum Cholesterol – A Meta-Analysis.” Annals of internal medicine 119.7_Part_1 (1993): 599-605. Ried, Karin, Catherine Toben, and Peter Fakler. “Effect of garlic on serum lipids: an updated meta‐analysis.” Nutrition reviews 71.5 (2013): 282-299. Silagy, Christopher, and Andrew Neil. “Garlic as a lipid lowering agent–a meta-analysis.” Journal of the Royal College of Physicians of London 28.1 (1993): 39-45. Khoo, Y. S. K., and Z. Aziz. “Garlic supplementation and serum cholesterol: a meta‐analysis.” Journal of clinical pharmacy and therapeutics 34.2 (2009): 133-145. Buz’Zard, Amber R., Qiaoling Peng, and Benjamin HS Lau. “Kyolic and Pycnogenol increase human growth hormone secretion in genetically-engineered keratinocytes.” Growth hormone & IGF research 12.1 (2002): 34-40. Rohner, Andres, et al. “A Systematic Review and Metaa-nalysis on the Effects of Allium sativum Preparations on Blood Pressure in Individuals With Hypertension.” American journal of hypertension (2014): hpu165. Stabler, Sarah N., et al. 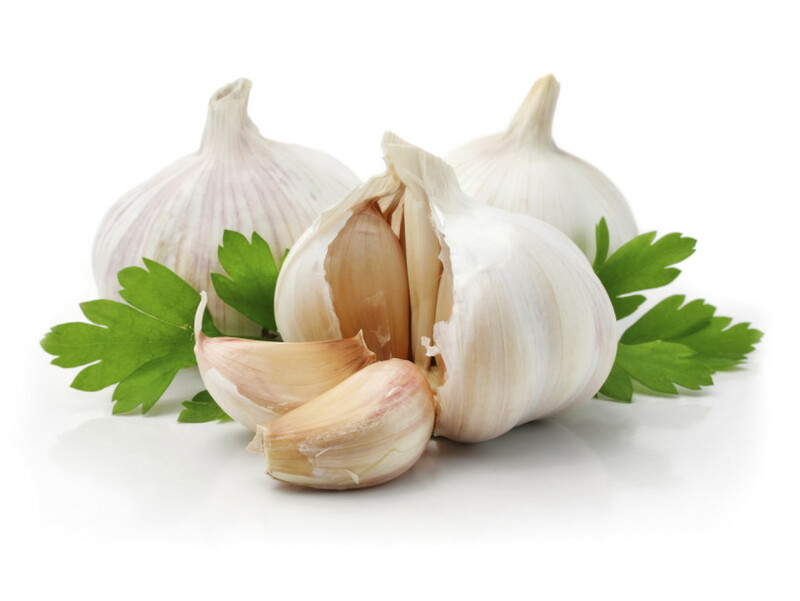 “Garlicfor the prevention of cardiovascular morbidity and mortality in hypertensive patients.” Cochrane Database of Systematic Reviews 8 (2012). Seo, Dae Yun, et al. “Aged Allium sativum extract enhances exercise-mediated improvement of metabolic parameters in high fat diet-induced obese rats.” Nutrition research and practice 6.6 (2012): 513-519. Seo, Dae Yun, et al. “Effects of aged Allium sativum extract and endurance exercise on skeletal muscle FNDC-5 and circulating irisin in high-fat-diet rat models.” Nutrition research and practice 8.2 (2014): 177-182. Gómez-Arbeláez, Diego, et al. “Aged garlicextract improves adiponectin levels in subjects with metabolic syndrome: a double-blind, placebo-controlled, randomized, crossover study.” Mediators of inflammation 2013 (2013). Groppo, F. C., et al. “Antimicrobial activity ofgarlic, tea tree oil, and chlorhexidine against oral microorganisms.” International dental journal 52.6 (2002): 433-437. Ishikawa, Hideki, et al. “Aged garlicextract prevents a decline of NK cell number and activity in patients with advanced cancer.” The Journal of nutrition 136.3 (2006): 816S-820S. Ried, Karin. “Gralic lowers blood pressure in hypertensive individuals, regulates serum cholesterol, and stimulates immunity: an updated meta-analysis and review.” The Journal of nutrition 146.2 (2016): 389S-396S. Davis, Stephen R. “An overview of the antifungal properties of allicin and its breakdown products–the possibility of a safe and effective antifungal prophylactic.” Mycoses 48.2 (2005): 95-100.